Dropping home prices means it might be time to buy. You’ve heard it all before: Though the economy is as unstable as Octomom, now’s a good time to buy. But where to look? Just because housing prices have dropped in some neighborhoods doesn’t mean they weren’t overinflated to begin with, and it’s not a bargain if you won’t feel safe living there or if the area’s going to depreciate further. To navigate these possibilities, we talked to a bevy of Realtors and pored over home-sales numbers to find likely winners. Our six best-buy ’hoods are divided into two categories: those that have held their value through the downturn, making them probable safe investments, and those that’ve taken a hit but have a bright future. These three neighborhoods feature steady home prices that likely won’t lose value over the long term. 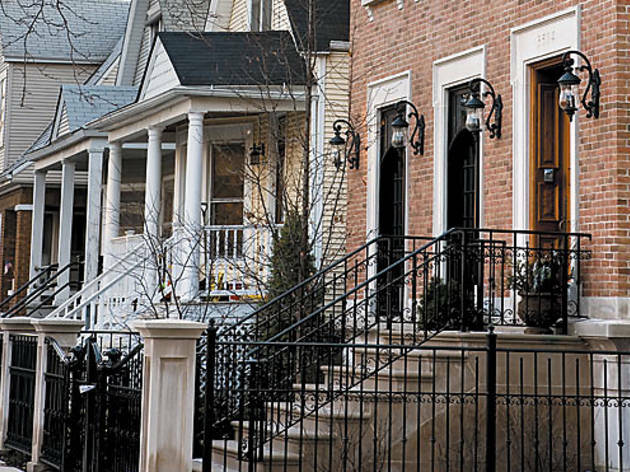 Nearly every Realtor offered up Andersonville as the city’s hottest ’hood, citing lakefront proximity, a robust commercial district brimming with independently owned businesses and good public transportation as factors. Also, sales here are often more discretionary than need-based. This means homeowners are less likely to sell at desperation prices. “The demographic of people who buy here hasn’t been as adversely affected by job loss and subprime lending problems, so the supply is down, which keeps prices up,” says Kelly Leggett of Keller Williams Realty. Hot property 5622 North Glenwood Avenue. This bank-approved, short-sale condo, located one block from Clark Street, has two bedrooms, one bath, a newer kitchen and original woodwork in a vintage brick building for $215,000. Contact Michael Sorensen at RE/MAX City, 773-987-8224 or 847-696-1664. “It’s the little engine that could,” says certified appraiser Jerry Simmons of this South Side ’hood, “very trendy and artisty. People like that [vintage] architecture—you cannot replicate that look. And it’s half the price of what it costs seven miles north in Lincoln Park.” The housing stock of 100-year-old brick and graystone homes, along with proximity to University of Chicago and the lake—and the prestige of sharing a zip code with the Obama family homestead—have kept prices stable. “[Buyers are] taking old graystone row houses, putting in maybe $100,000 to $150,000 and turning them into three condos or keeping them as single families,” Simmons says. Hot property 4343 South Ellis Avenue. 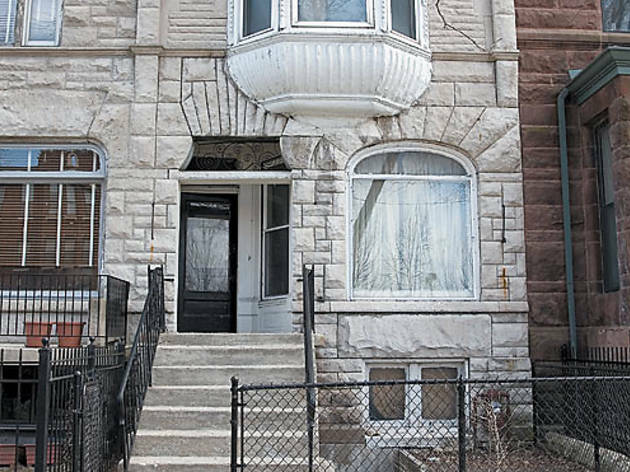 Built in 1893, this single-family graystone is located four blocks from hip European deli Zaleski & Horvath MarketCafe (and eight blocks from the Obama home). It features four bedrooms, two baths and all-original wood and period details (but needs rehab) for $270,000. Contact Carol Holland at Keller Williams, 773-285-7964 or 773-494-9125. Hot property 3203 North Oakley Avenue. This new condo, around the corner from Antique Row, has three bedrooms, two baths and a heated garage space in a brick ten-unit building for $389,000. Contact Tim Sheahan at Sudler Sotheby’s International Realty, 773-524-4444. The following three areas have seen some rough times lately but still offer the kind of great architecture, local infrastructure and primo locations that ensure they can’t stay down forever—so now may be the time to buy. Hot property 942 North Fairfield Avenue. Located two blocks from the California Clipper and four blocks from Flying Saucer, this condo has two bedrooms, two baths, upgraded finishes and a deck in a six-unit, renovated graystone for $199,900. 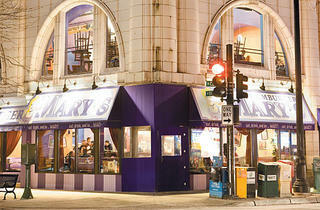 Contact David Beaulieu at Century 21 Beaulieu Realtors, 312-231-5097 or 773-282-7979. “Over the last 40 years, it went through a nosedive, but recently, it started getting its footing again,” says Michelle Browne of Rubloff Residential Properties about this historically and artistically significant area. She says there are great deals on mansions along King Drive and two-flats and condos east of the Drive. 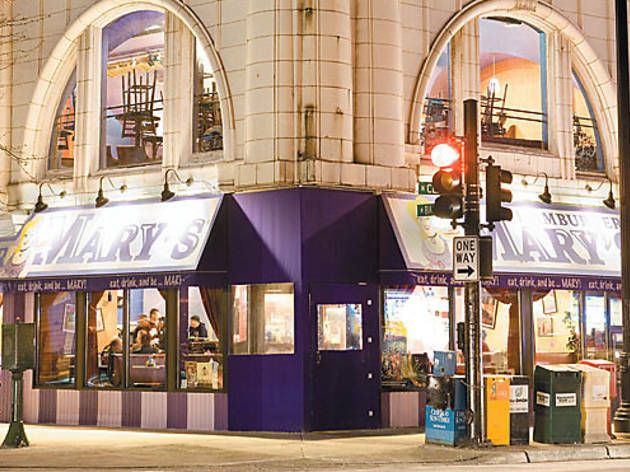 While there are board-ups aplenty, the nabe has good public transportation and thriving anchor businesses like Bronzeville Coffee House and Jokes and Notes, indicating prices should go back up. Hot property 5016 South King Drive. Located a block from the Green Line and Washington Park, this condo has two bedrooms, two baths, a deck and a fireplace in a 14-unit brick building for $169,900. 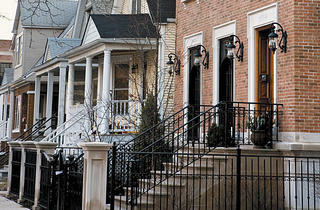 Contact Phil Buoscio at Buoscio Brokerage, 312-330-3730. “Everything’s priced to sell immediately—you can get houses in the $150s,” says Gerstenschlager of the predominantly working-class Northwest Side neighborhood hit hard by foreclosures and job loss. 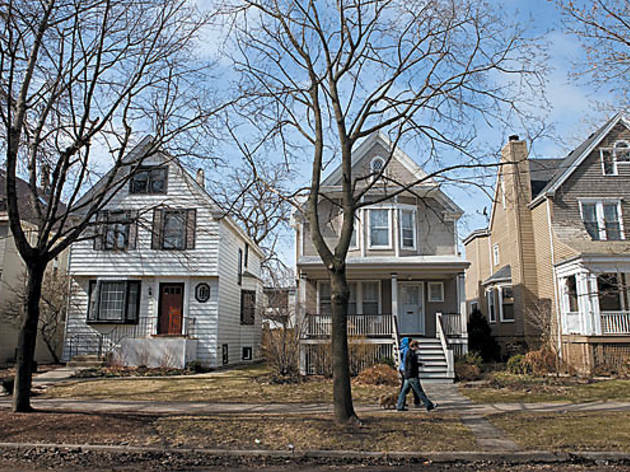 “At one point, I counted 99 single-family homes for sale in a six-block radius.” The area features mostly bungalows and two-flats, the “Six Corners” commercial center and the namesake Portage Park. House prices are likely to rise in the future because the ’hood’s established Polish-American community doesn’t tolerate crime, and the lack of multiunit buildings means it’s not congested. Hot property 4613 West Patterson Avenue. This rehabbed brick bungalow has four bedrooms, two-and-a-half baths and a new deck for $269,425. Contact Paul Miller at 847-909-6029. Those six nabes weren’t the only ones on Realtors’ favorites list. If you’re still shopping, try these other options. For stability, consider Bridgeport: Median prices are beginning to rise due to new construction, and some Realtors favor it because of its prime location and history as an established community where homes are passed down through generations. 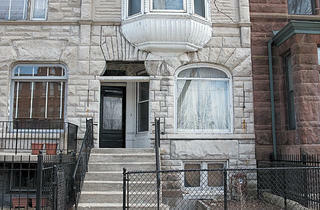 East Lakeview, another steady contender, features nicely maintained properties and very little crisis selling. For value-priced deals, take a look at the Loop and South Loop, where several large-scale projects couldn’t be halted when the crisis hit—many are selling below market value. 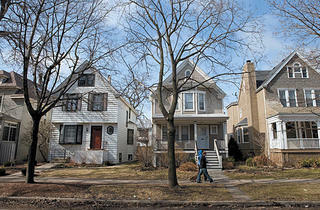 If you’re an adventurous type looking to snag a house for the price of a car, consider Washington Heights, on the far Southwest Side, which features clean, well-kept bungalows and split-levels and, according to Simmons, “feels like Skokie,” although he cautions that adjacent neighborhoods are sketchy.